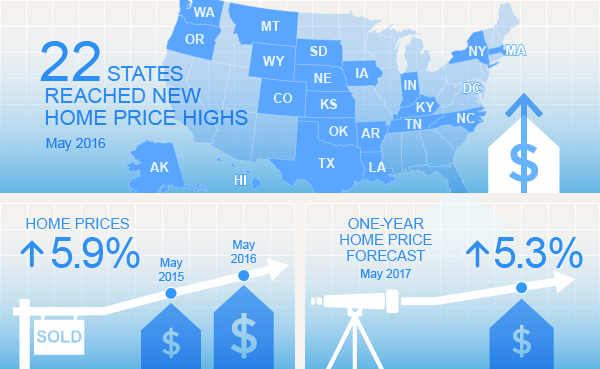 Home prices rose 1.3 percent month-over-month in May 2016. Year-over-year, home prices were up 5.9 percent. Sales are forecasted to rise 0.8 percent month-over-month in June 2016 and 5.3 percent year-over-year in May 2017. 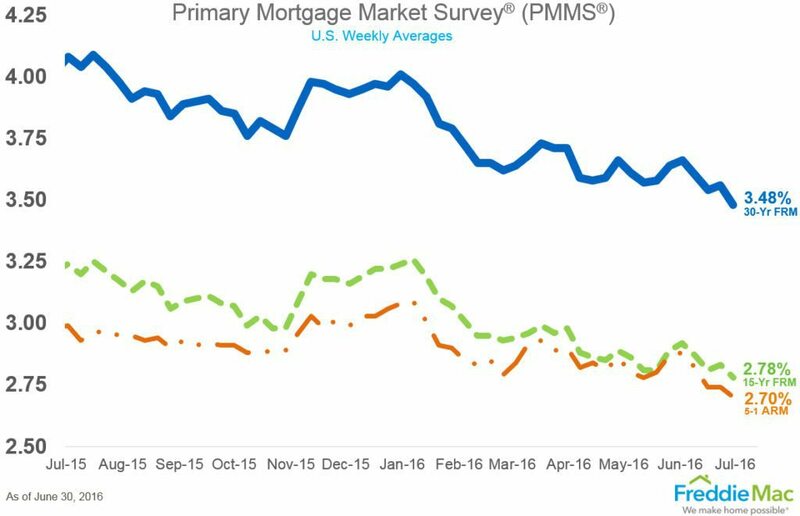 Average fixed mortgage rates dropped to 3.48 percent. This is 17 basis points from the November 2012 all-time record low: 3.31 percent. Last week, average 30-year fixed-rate mortgages were 3.56 percent. 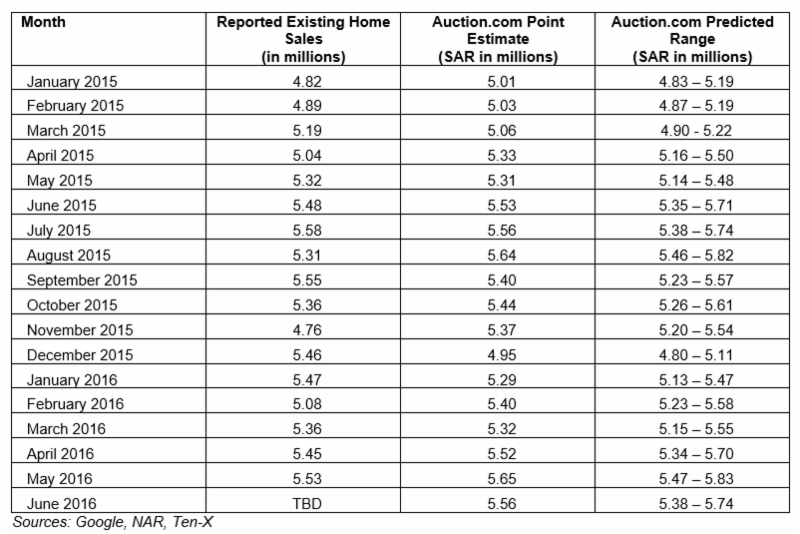 Existing home sales will fall between seasonally adjusted annual rates of 5.38 and 5.74 million, with a targeted number of 5.56 million. This is a slight 0.5 percent increase from May. It also indicates a 1.4 percent year-over-year gain.